(CNS): The Confederation of North, Central America and Caribbean Association Football (CONCACAF) said the official draw and logo unveiling for the CONCACAF Women's Under-20 Championship 2014 here in the Cayman Island will take place next Tuesday at a Seven Mile Beach hotel. The draw, which will sort the eight finalists into two groups of four, will be presided over by CONCACAF President Jeffrey Webb and conducted by General Secretary Enrique Sanz. Seven teams from across the region will join Cayman for the championship in January next year as the islands enjoy the benefit once again of having their own football boss at the top of the world football stage. All eight squads are hoping to become one of the three regional teams to join host Canada at the 2014 FIFA Under-20 Women’s World Cup, to be hosted by that CONCACAF member nation. 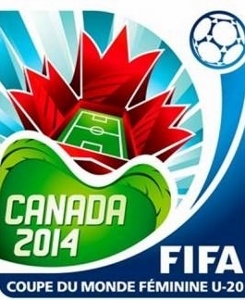 CONCACAF will host all of FIFA’s Women’s World Cup events in 2014 and 2015, starting with the FIFA U-17 Women’s World Cup in Costa Rica from March 15 to April 15, 2014, followed by the FIFA U-20 Women’s World Cup in Canada from August 5 to August 20, 2014 and culminating with the FIFA Women’s World Cup from June 6 to July 5, 2015. The draw and logo unveiling will draw take place at 6 pm Cayman time at the Westin Grand Cayman Seven Mile Beach and will be streamed live on CONCACAF.com.